The kitchen is the heart of the home, where memories are made while cooking, eating, and mingling, so it’s no wonder that it is one of the first spaces that homeowners look to renovate. Many homeowners save up for years in order to renovate their kitchen, not knowing that many simple changes can be made much sooner. At Craft Master Home Design, our Northern Virginia kitchen renovation experts know how to give any kitchen an upgrade without need for a huge project. Below are many ways to upgrade a kitchen that don’t require completing an entire remodel. One easy way to give the kitchen a fresh look is to replace the existing countertops with something more modern. There are many types of stone available that look luxurious and expensive, but are really a bargain. Granite countertops are a favorite for many homeowners looking to capture a sleek, modern feel. Other popular choices include limestone and quartz. You have so many countertop material options to choose from and create the look you truly desire. You also have the freedom to choose your shape and style of countertop. Try rearranging your counters in a U-shape or add an island to change around your kitchen’s layout. Another simple kitchen renovation is to replace your appliances with newer models! If you have had your appliances for awhile and they are starting to lose some of their functionality, it may be time to go shopping for an upgrade. Alternatively, if you simply want a breath of fresh air, getting newer appliances is an easy way to give your kitchen a facelift. Choose stainless steel appliances for your contemporary kitchen or white ones for a country-like feel. Do some research on which appliance brands have both the quality and aesthetics that you’re looking for before making your purchases. Remember to stay under budget while still purchasing high-quality items. Adding a little dining space like a breakfast nook to your kitchen is a very simple way to give your kitchen a breath of fresh air. Breakfast nooks pair simplicity, elegance, and functionality in your kitchen. A breakfast nook can be an island in your kitchen with stools, a small dining table, or a window seat. Breakfast nooks certainly don’t need to be used only for breakfast! Simply carve out some space in your kitchen, add a little seating, install some nice lighting, and you have the perfect place to grab a snack or eat a quick meal. 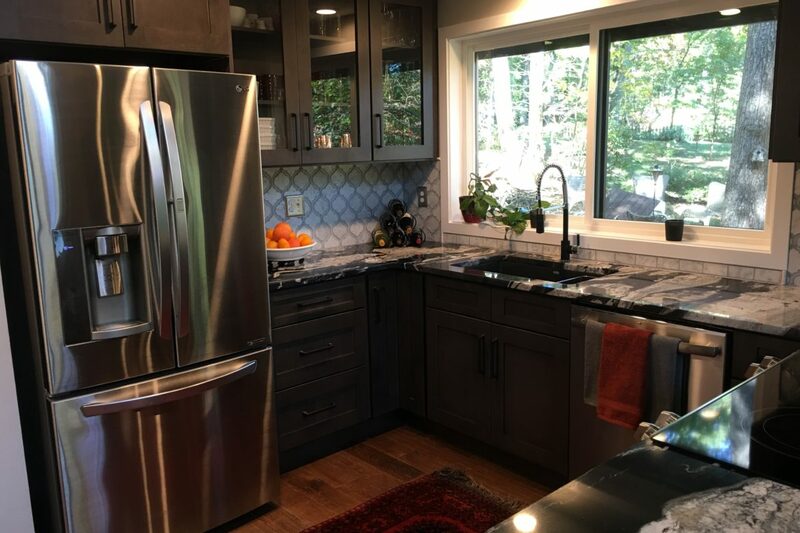 Craft Master Home Design, a kitchen remodeling company in Northern Virginia, can help you renovate your kitchen, no matter how large or small the project is. We are dedicated to helping you create a kitchen that meets both your aesthetic and functional needs. We go above and beyond to meet your goals at every step of the process, and we make your satisfaction our priority. To begin your Northern Virginia kitchen remodeling project, contact us now!